KODI has simply revolutionized and made the android TVs popular among people. Since KODI has happened, the sales of android TVs, specifically Fire TVs & Firesticks have boomed. All credits to KODI for making such a premium service available for the users free of cost. We know that you can watch lot of Movies, TV shows and other stuffs using KODI. But, many people are looking to add subtitles to these. There are many addons and KODI subtitle services, which can make this happen. They can automatically add subtitles to KODI, while watching movies, TV shows are live streaming. So check out the best subtitles addons for KODI and best KODI subtitle service. Now, KODI has a subtitle service by default which you can use instead of KODI subtitle addons. So before we discuss the subtitle addons for KODI, let us explore how you can activate the KODI subtitle service. I want you guys to follow all the steps we’ve mentioned below carefully without making any mistakes. Might Wanna Check Our Guide To Use KODI On Firestick! Step 1: So first of all we need to select the preferred language in which we want our subtitles. For this, you need to go to the System>>Settings>>Video>>Subtitles. Once you reach this path, you will see all the options relates to subtitles in KODI. The very first option is to select the language in which you want the subtitles. So select that and choose your preferred language. Step 2: Now we need to choose an online service which will serve us the subtitles. For this purpose, just scroll down in the subtitles settings and find the option “Default Subtitle Service”. Once you click on the “Default Subtitle Service“, a dialogue box will appear. It will be empty and you need to select “Get more”. You will see a list of names which are nothing but subtitle providers. We would recommend you to choose “OpenSubtitles.org“. This is one of the most popular subtitle service for KODI. Click on “Opensubtitles.org” from the list and then select “install”. Now go back to the Subtitles menu and again select “Default Subtitle Service“. 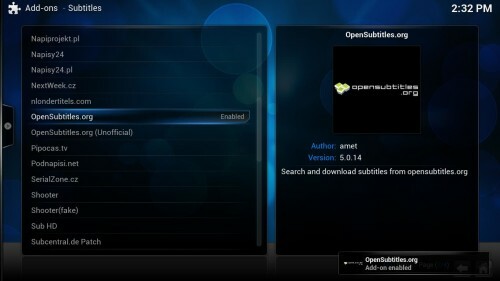 Now instead of an empty box, you will see an option of “Opensubtitles.org”. Select that and click “OK”. Step 3: We’re almost done now. We have setup all the prerequisites needed for adding subtitles in KODI. Now we just need to implement everything in the playback screen. So just play any random TV show or movie. In the floating menu on the playback screen, you shall see an icon of Subtitles. Click on that and you shall get an option to “download”. Select the “Download” option and again a list of various subtitles will appear. You can basically select any of the subtitles from the list you wish to. You may select a subtitle based on the ratings besides it or even upon the print quality of the movie. Check out the video below to get a fair idea of performing all the above steps. So now your movies will always have a subtitle along with it and you won’t miss a single punch line from your movies or TV shows. So this was the easiest way to add subtitles to KODI. We will add more such informative articles on KODI an solve all your problems one by one. Keep checking our blog regularly and be updated. 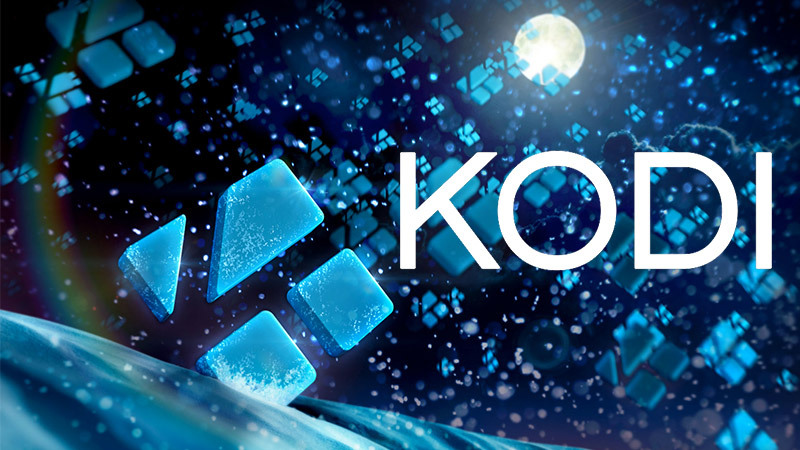 You can also check out our guide to install Exodus, another great addon for KODI.